UC junior guard Jarron Cumberland has been named an honorable mention All-American by the AP. 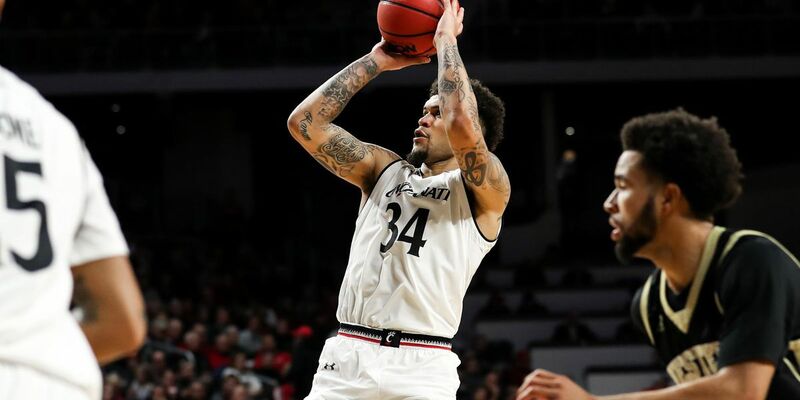 CINCINNATI, OH (FOX19) - UC junior guard Jarron Cumberland has been named an honorable mention All-American by the AP. The distinction caps off a noteworthy junior season for Cumberland who previously was named the 2019 American Athletic Conference Player of the Year, American Championship Tournament Most Outstanding Player, a unanimous first team all-conference selection, a Jerry West Shooting Guard of the Year award semifinalist and watch list honoree for both the Citizen Naismith Trophy award and the Lute Olsen Player of the Year award. Cumberland averaged 18.8 points, 4.4 rebounds and 3.6 assists during the 2018-19 season that saw the Bearcats post a 28-7 overall record, finish second in the AAC at 14-4, win the AAC Tournament for the second straight year and advance to the NCAA Tournament for the ninth consecutive season. The Wilmington High School graduate ranks 20th on UC’s all-time scoring list with 1,363 points.